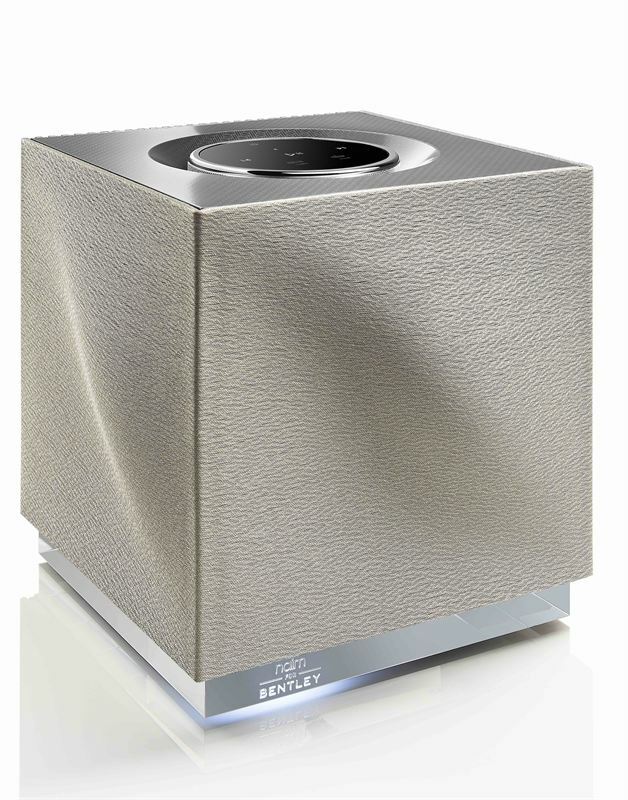 Naim Audio, a world renowned British manufacturer of premium home music systems and Bentley, the definitive British luxury car maker, have joined forces to launch the Naim for Bentley Mu-so premium wireless speaker range. Composed of the Naim for Bentley Mu-so and the more compact Naim for Bentley Mu-so Qb, these systems combine Naim’s audio and design pedigree with 100 years of Bentley heritage in a high performance luxury design, to create best-in-class wireless multi-room audio. Building on Naim Audio and Bentley’s long-standing collaborations (Naim Audio recently worked closely to develop the Naim for Bentley Bentaga in-car audio system) the Mu-so and Mu-so Qb take design cues from the luxury world of Bentley cars: The iconic Portland coloured grille is a signature Bentley hue found in many areas of its car interiors while the stainless rotary control interface directly references the signature detailing from the legacy dashboard. 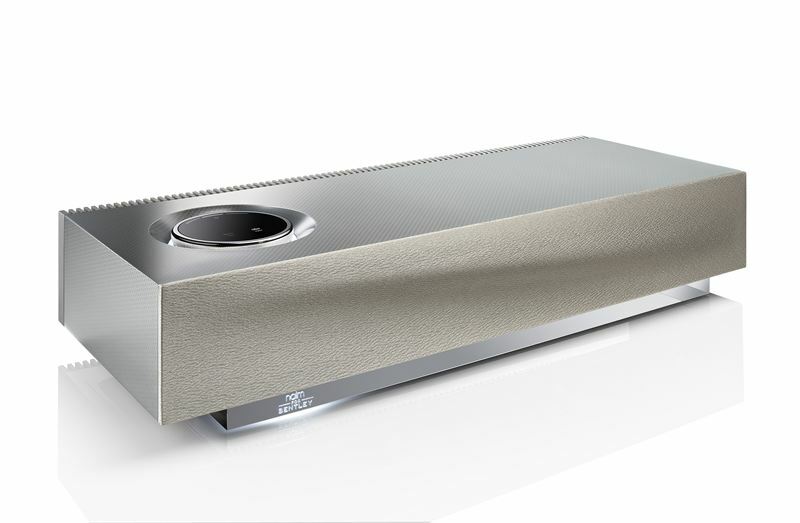 Inspiration for the premium patterned aluminium casework comes from the grille motif of the Naim for Bentley Bentaga in car audio system, with the Mu-so range replicating the incardesign’s intricate detail. This attention to detail also surfaces on the heavy duty acrylic base where a Naim for Bentley logo subtly illuminates when powered. The award winning Mu-so premium wireless speaker range combines state-of-the-art design, expert engineering and audiophile sound to redefine what a wireless speaker should sound like. The Naim for Bentley Mu-so range also delivers best-in-class multiform audio, playing music between any combination of Mu-so systems in up to five rooms of your home. Choose the same song in beat-perfect sync or play different music in different rooms – all controlled by a dedicated Naim app for iOS and Android. Connect a Mu-so speaker system to your home Wi-Fi network to open up a world of music. Wirelessly stream your downloaded music in high-resolution via UPnPTM or browse and play millions of songs through Spotify Connect, TIDAL, Internet Radio or Airplay – ideal for Apple Music. Mu-so speakers also feature high quality Bluetooth (aptX) connectivity. Finely tuned by specialist engineers, the higher spec Mu-so delivers powerful but rich and detailed sound, commanding 450 watts of power through six custom-designed speakers. Smaller and more compact but no less exceptional, the Mu-so Qb fits five drivers and 300 watts of amplification into single, elegant enclosure. At the heart of both systems is a powerful 32-bit digital signal processor.